Originially, I had planned to try out a tasty-looking Ham and Macaroni Bake recipe from my new Cooking Light magazine, but as I ended up being the only one around for dinner... You know, casseroles just don't work for one person. So what was I to do with all this leftover ham from Easter? My housemates have run off, leaving it up to me to eat it all. 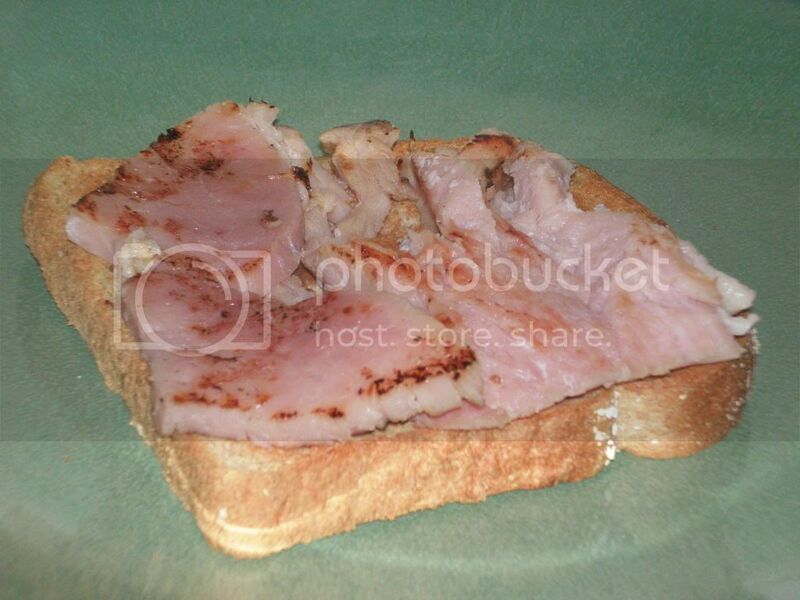 A few days ago, a post for ham recipes prompted me to start thinking about what all I could use the leftover ham for. 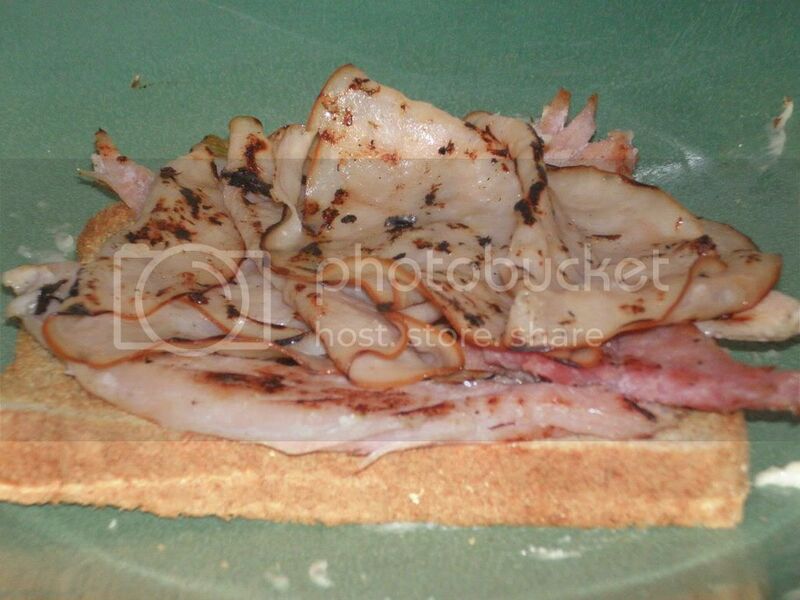 I immediately thought of Kentucky Hot Browns, before remembering that the base meat is turkey -- not ham. Now, I must admit, even though I grew up in Kentucky I have never had a Kentucky Hot Brown, much less even heard of one until a few months ago (thanks to Throwdown with Bobby Flay). 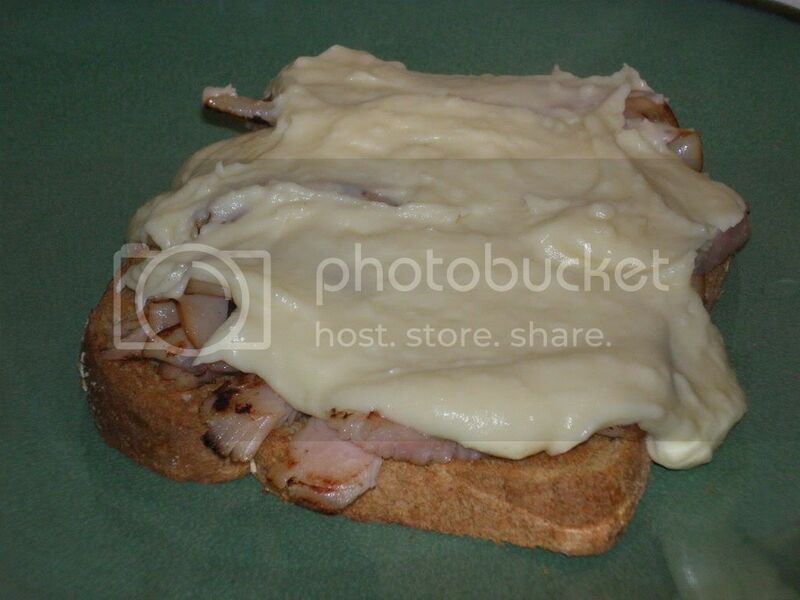 An original Kentucky Hot Brown consists of toast topped with turkey, tomato, cheese gravy, and two strips of bacon. Well, I had ham. Not turkey. And I don't like tomatoes. So instead, I put a little spin on the good ol' Hot Brown and ended up with something pretty fantastic. 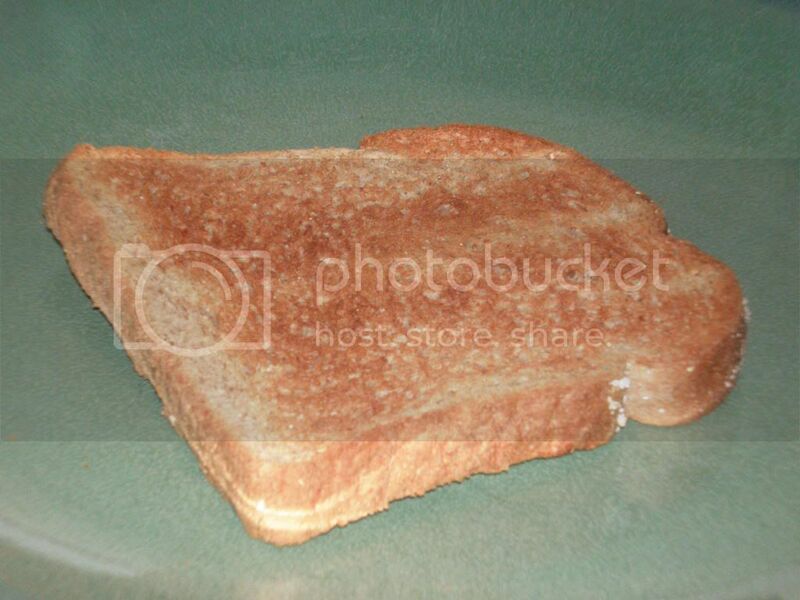 Start with a piece of toast. 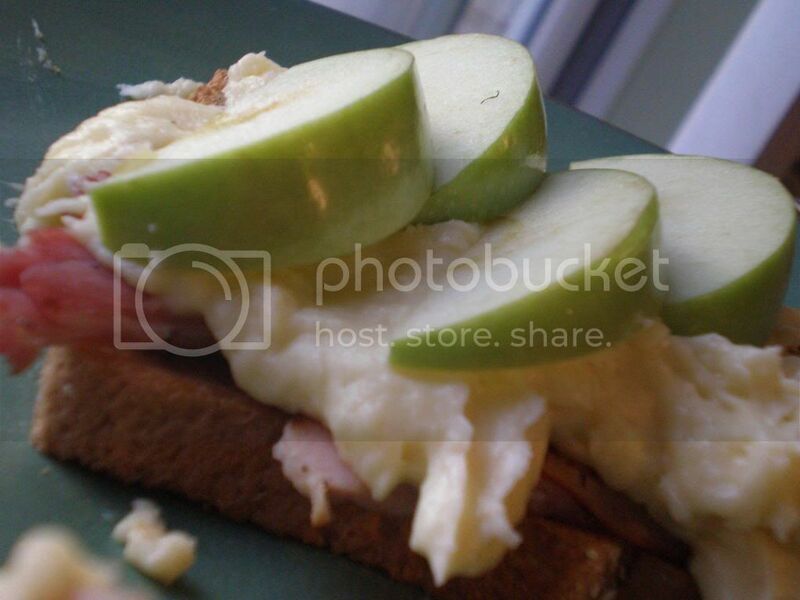 Fry thin-sliced turkey, and add to top. I used regular deli-style turkey slices. 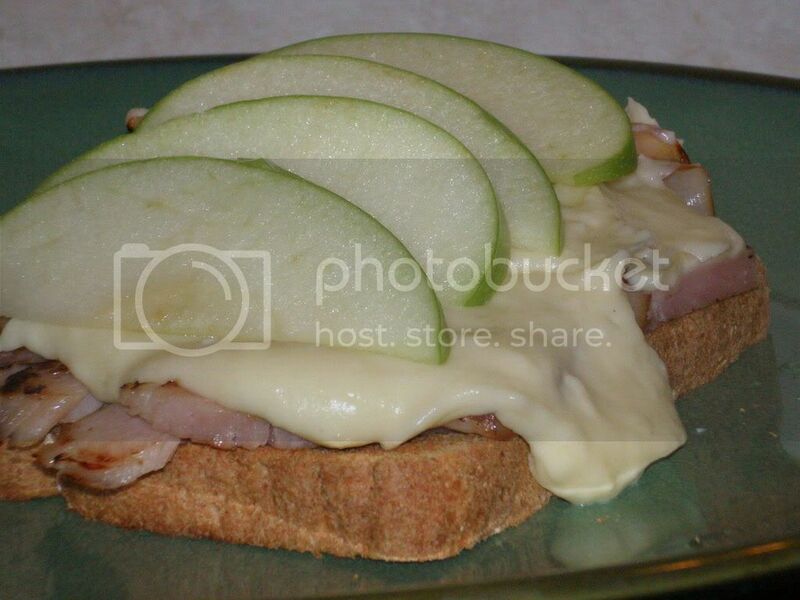 of an apple per Hot Brown. In other words, this basically isn't a Hot Brown at all. But I honestly have no idea what to call it. Therefore, it becomes the D.C. Hot Brown. 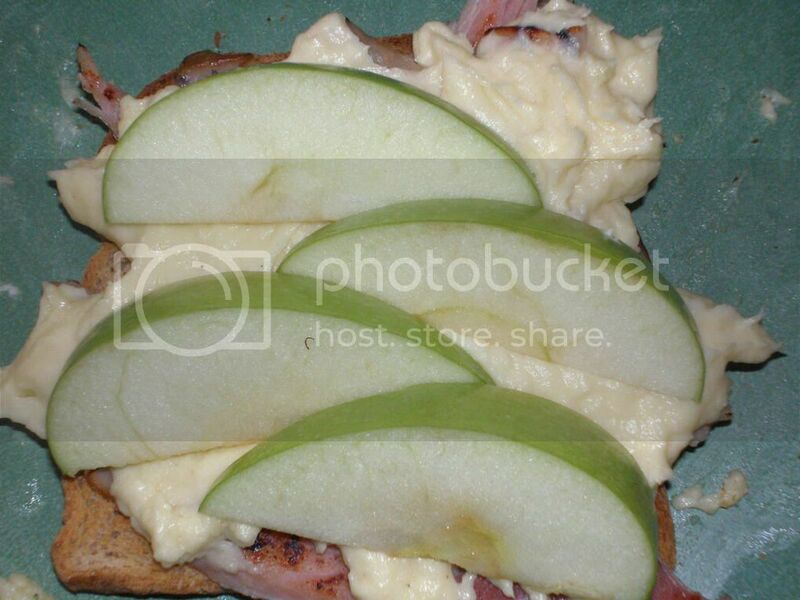 I wasn't really sure about the whole apple-on-top idea, but I was looking for something to replace the tomato on the original Hot Brown. Turns out, it was an excellent idea. 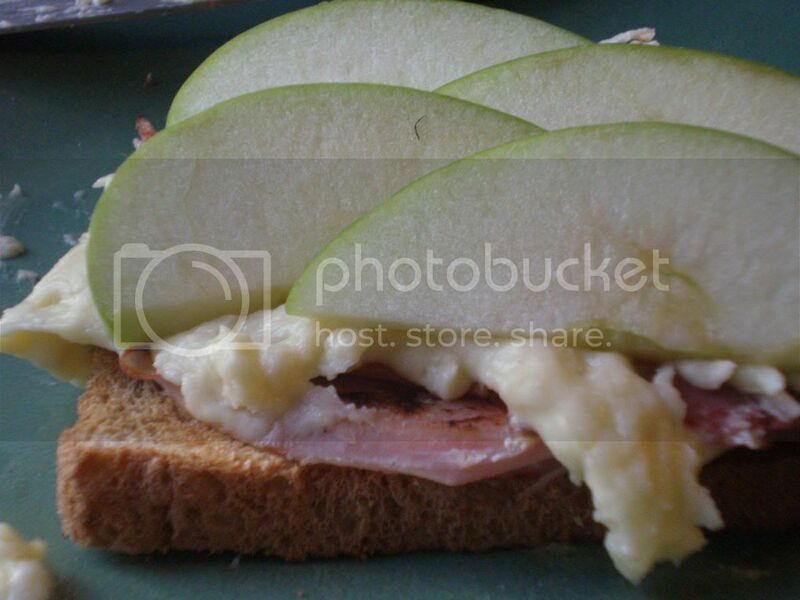 I used Granny Smith apples, and I would definitely recommend using them, as they add just the right amount of sweetness and bite to the dish. While I did come up with the ingredients, I borrowed the cheese gravy recipe from the Original Hot Brown from Allrecipes.com. Melt butter in a saucepan over medium heat. Stir in flour with a whisk or fork, and continue to cook and stir until it begins to brown slightly. Gradually whisk in milk so that no lumps form, then bring to a boil, stirring constantly. Mix in the parmesan cheese and then stir in the beaten egg to thicken. Do not allow the sauce to boil once the egg has been mixed in. Remove from heat and stir in cream. **I added in about 1/2 an egg (since 1 egg is used in the full recipe for 4 servings) and I probably added in too much.